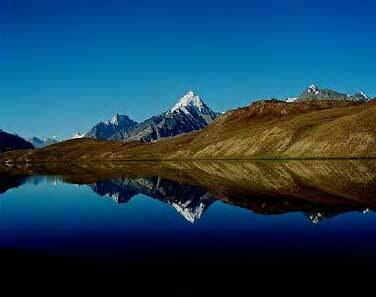 Situated in North-West region of Western Himalayas, Himachal Pradesh is a beautiful hill state in India. The state is landlocked with the Tibetan plateau to the east, Jammu and Kashmir to the north, and the Punjab to the west. However, the state stands apart from its neighbors in terms of its sheer topographic diversity and breathtaking pristine natural beauty. 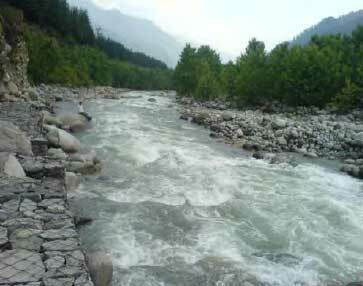 Anciently known as Dev Bhumi (The abode of Gods) Himachal Pradesh is abundant with natural beauty. The literal meaning of Himachal Pradesh is Region of snowy mountains. Tourism in Himachal Pradesh is blessed with vast tracts of high-altitude Trans-Himalayan desert to dense green deodar forests, from apple orchards to cultivated terraces, from 12 month snow capped high Himalayan mountain ranges to snow fed lakes and clean and gushing rivers. Top tourist places of Himachal Pradesh are Shimla, Kullu Valley, Manali, Dharmshala and Chamba. SHIMLA is the only urbanized city of the Himachal, its tranquility and peaceful atmosphere makes it different from many urban cities in India. It is famous for its temples, parks, valleys and trekking trips. The KULLU VALLEY offers breathtaking natural beauty. Its temples, apple orchards, gardens, and the festivals make it a worthwhile destination to visit. For shoppers Kullu provides handicraft textile (shawls, caps and other woolen accessories). Himachal Pradesh has scores of beautiful towns and hamlets all over the state, which offers tourists a variety of destinations to go and relax and also explore both during summers – when it offers respite from the heat in the plains and during winter – when snow covered terrains delight one and all. Other places in Himachal Pradesh are Dalhousie, which is ornate with beauty spots like Khajjiar, Satdhara springs and Kalatope. 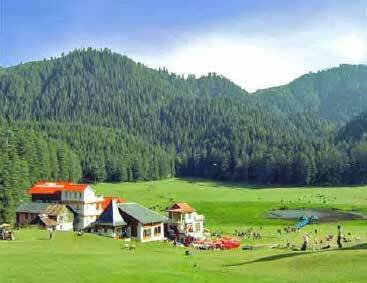 Tours to Dalhousie sets you on the gateway to the enchanting Chamba Valley. Tourism in Himachal Pradesh is not season constraint and national and international tourists visit the hilly state around the year. However people throng the tourist places in Himachal Pradesh, especially Manali, Shimla, Dharamshala and Khajjiar & Dalhousie in May-June when summers in the plain are on its high. Once can say that tourism in Himachal Pradesh flourish in Summers.